Internal auditor is one of the most rewarding roles you can have in any company. It pays extremely well, and though you won’t compete with many other people in an interview for this position, you can be sure that everyone who applies for the job will do their best to sign a coveted employment contract at the end of the interview. But just one person will achieve this goal. Will it be you? 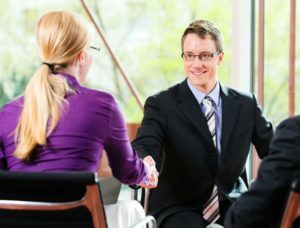 The typical interview process for this position consists of screening interview (an easy part), behavioral interview (a difficult part), personality test, and technical questions that are specific only for this position (can be both easy and difficult, depending on your knowledge of the field). The selection below should help you to understand what to expect, in terms of screening, and technical questions. Why did you decide to apply for this position? Try to speak about something else than money. Tell them about your passion for optimizing business processes, for your understanding of the role of an auditor. If you have a relevant experience that makes from you an ideal candidate for the job, tell us about your experience. What does internal audit mean for you? To conduct internal audit means to help an organization accomplish its objectives by bringing a systematic, disciplined approach to evaluate and improve the effectiveness of risk management, control and governance processes (official definition by the institute of internal auditors). Have you ever though about the risk management in our company? When you apply internally, you should already have some idea of what you want to do once they promote you to an internal auditor position. And when you apply for a job in a company that is foreign to you, company you know little about, you should at least make some research, and have an idea of the most important areas of business process, areas that need immediate auditing. Can you define the purpose of ISA 610 and INTOSAI standards? What does IFAC mean? IFAC stands for International Federation of Accountants, an organization that issues the international standards for auditing (ISA). You can elaborate on your answer, saying that you have the knowledge of the standards. What do you think are the main auditing risks in the company of this type? Again, a good research should help you with an answer. Is it the detection risk, the inherent risk, or the control risk? Once you understand how the company is organized, and who is responsible for planning and for reporting, you should be able to tell the main auditing risks. What is the best risk assessment method for this size of a company? The right answer depends on the size of the company, and the complexity of their business processes. You can go with what-if analysis, HAZOP, failure mode and effect analysis, or with any other method you know. The key is to show the interviewers that you understand various models and methods, and are ready to apply them in the company. Can you describe substantive tests and when do we use them in the process of auditing the business process? Substantive testing is an audit procedure that examines the financial statements and supporting documentation to see if they contain errors. These tests are needed as evidence to support the assertion that the financial records of an entity are complete, valid, and accurate. They belong to the most common tools of each internal auditor. What is your opinion: Is it necessary to test also the areas that do not seem to be problematic when we look at the financial statements? Good auditor should be able to recognize the tricky areas of the business process, areas that need a special attention. 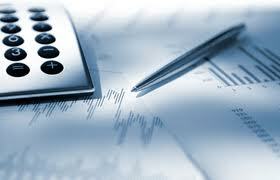 Nevertheless, you can say that during your fist audit, you will check everything in great detail. In next auditing cycles, you will pay attention mostly to areas that seem problematic (based on the data from financial statements). 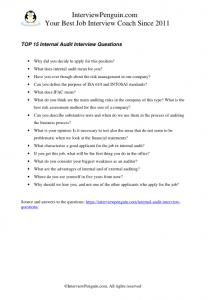 What characterize a good applicant for the job in internal audit? You can go with education, experience in the field, understanding for all areas of business process. But you can also name important skills and character abilities, such as responsibility, independence, strong accounting skills, attention to detail, overall understanding of the business process, etc. If you get this job, what will be the first thing you do in the office? You can go with different answers at this point. You can say that you will start with studying reports from your predecessor, or from an external auditor–basically a person who did the last audit. Or you can say that you will spend a few days or weeks talking to everyone in the company, from laborers to managers, and studying financial statements, trying to understand the business process perfectly. What do you consider your biggest weakness as an auditor? If you are just starting, lack of experience is a good answer. Everyone has to start somewhere, and even the best auditors had their first auditing experience, and made some mistakes. If you’ve already done auditing, you can point out a specific area of auditing, or a certain skill or ability that needs improvement (perhaps your computer skills, accounting skills, ability to keep distance from the employees, etc are not as great as they should be). What are the advantages of internal and of external auditing? This is simple one. Internal auditors know the company from inside-out, and typically understand the business process better than external auditors. On the other hand, people from outside of the company look at things from some distance, and since they have no connection with the employees of the company, we can be certain about their objectivity. Where do you see yourself in five years from now? Good auditors are precious. Tell them that you want to work as an auditor in five years, and if they hire you, you will be happy to stay in their company. Why should we hire you, and not one of the other applicants who apply for the job? Audit is a broad field, and it is impossible to list all technical questions you can theoretically get in your interview. Either you understand your job, or you you will struggle with the technical questions. What you can prepare for, however, are the questions you will face in the screening and behavioral part of your interview. These will be very similar in each interview, regardless of the company or country of your job application. If you are not sure what these questions are, and how you can deal with them, have a look at our Interview Success Package. It will help you to deliver your very best on the big day. 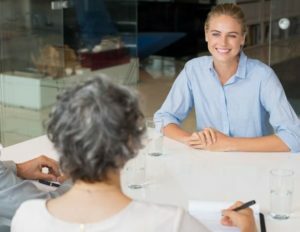 Work portfolio in an interview – Learn how to prepare a selection of your best works, and how to use it to show the interviewers the value you can bring to their team.